Indonesian Fashion Accessories by Balifurnish.Com Our handicrafts products are traditional home industries, factory manufacturers, artisans cooperative crafts producers in villages Bali, Java Lombok Indonesia. 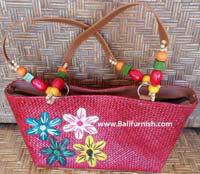 handmade products Bali Beads Bags. NATURAL BAGS INDONESIA. 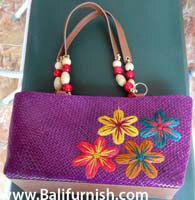 Rattan bags from Bali Indonesia. 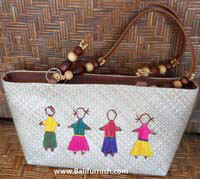 Woman bags made of woven rattan. 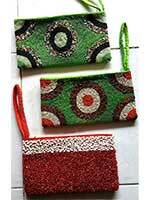 All handmade bags such as shopping bags, shoulder bags, purse, tote. 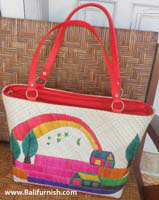 Rattan handbags made by rattan bags supplier and exporter company. 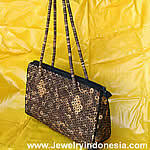 Craftsman of rattan bags from Indonesia. email us using our online inquiry form for pricing. For immediate response, please . All bags are made to order. Please order in advance. Visit boat wood furniture factory in Indonesia. Manufacturer of reclaimed boat wood furniture. 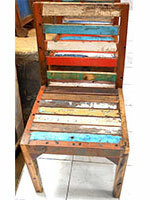 Handmade using old wooden fishing boats and Javanese houses. View how we produce various wooden furniture including dining tables and dining chairs, coffee tables, bookshelves, home decors and many more. We make reclaimed wood furniture with export quality. Home furniture made by skill furniture craftsmen in Java Indonesia with years of experience in producing furniture.